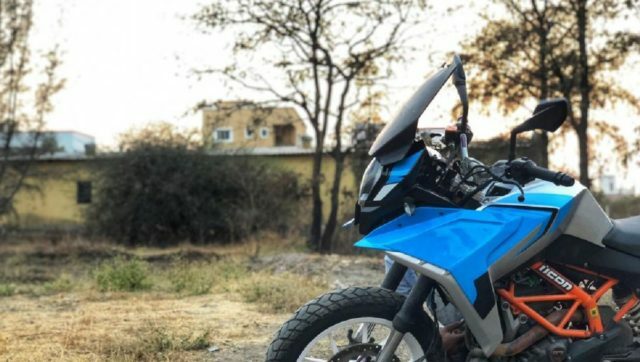 For those of you who are tired of waiting for KTM to launch the 390 Adventure in India, you should definitely look at this option for once before planning to switch to another motorcycle. 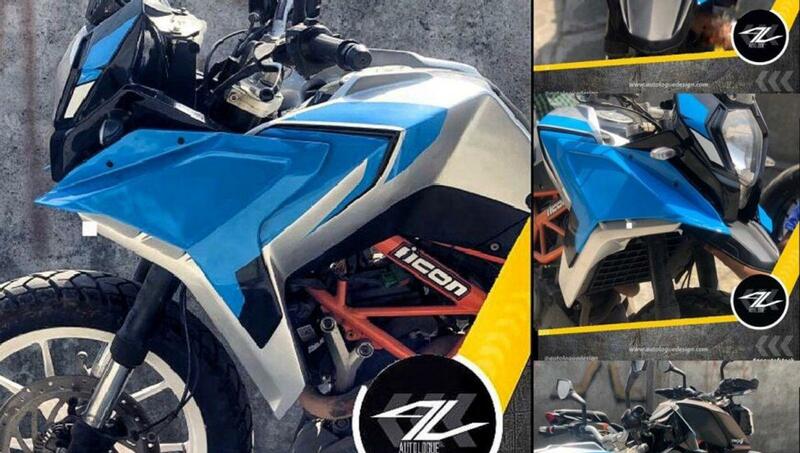 Autologue designs has shared the first images of the Xplorer kit equipped Duke 390. 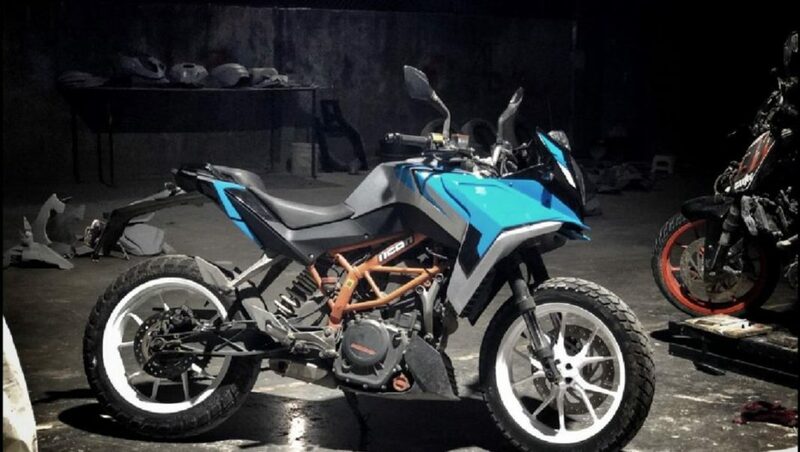 The good news is that the bolt on body kit has been designed for the KTM Duke 125, Duke 200 and also the previous generation Duke 390. The Xplorer kit has been designed to enhance the touring capabilities of the naked roadsters. The bolt on body kit, in particular, gets an aerodynamic front face and a tall windscreen to protect the rider from windblasts and offer a much more comfortable ride on the highways while covering long distance. The body kit also gets a semi-fairing design with a small beak towards the front and an adjustable visor as well. Apart from the front profile the rear profile too has also received a mild revision to it. Lastly, there is also a redesigned engine bash plate. 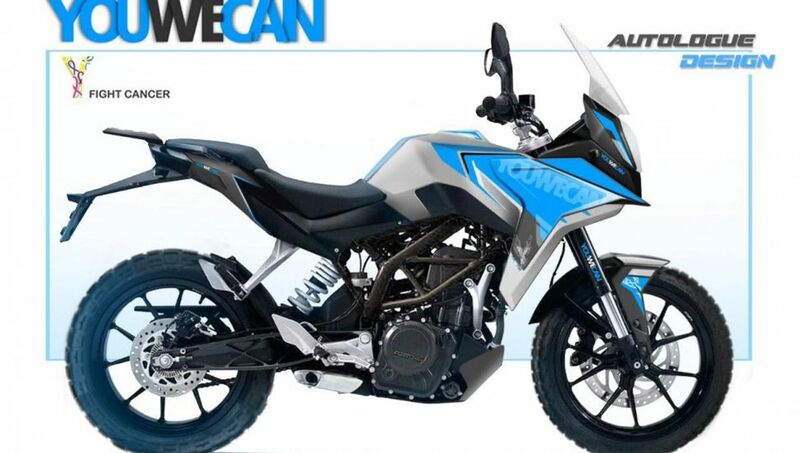 Lastly, the 17-inch stock wheels have also been wrapped with dual purpose tyres that will help add a bit of off-road capability to the motorcycle. Besides the new body kit, there is no other cosmetic or mechanical change made to the motorcycle though. The Duke 390 that you see in these pictures gets a slightly taller handlebar and a slightly front set footpegs that will provide an upright riding position. Apart from the new bolt-on body kit, the motorcycle hasn’t received any mechanical change to the engine, brakes or the suspension setup. The complete Xplorer body kit by Autologue design is priced at Rs. 20,000. However, there is also an option to buy each of the parts individually as well. This custom kit like we already mentioned above will surely attract the attention of those KTM Duke 390, Duke 200 and the Duke 125 owners who are planning to upgrade to a bigger adventure tourer or waiting for the 390 Adventure for a long time.